A couple of Fridays ago it was miserable; the tail end of a week with temps over 100. Smoke from the fires made me more than willing to quickly load up the truck and head to the Sierras, at Ann’s suggestion of a weekend fishing our fabulous mountain streams. Not only do they consistently yield scrappy native trout, they are always cool and soothingly refreshing. After parking the truck at the trailhead and shrugging into a light pack, we were on the trail by 4:00 PM and fishing within an hour. The water from the Silver Fork of the American River was splashing pool to pool, crisp from the higher elevations. As soon as I stepped in, the rejuvenation was immediate and washed over me… like a cool mountain stream! Wading wet (without the use of waders) and casting dry flies to trout is one of my favorite pastimes. There has been a lot of buzz lately about being present, as a way to clear the mind. 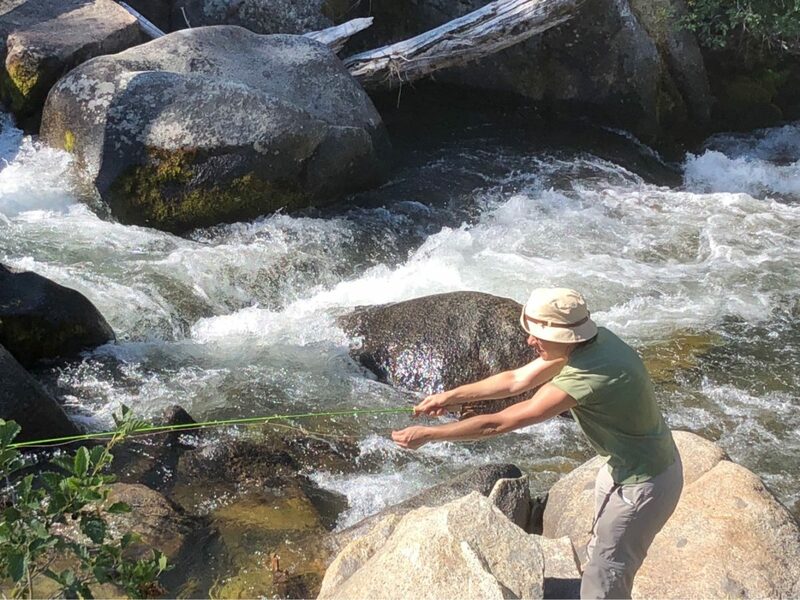 Standing knee deep in a Sierra stream and casting a fly is the perfect way to achieve your Zen. Nothing but the sound of the water, the immediacy of a trout rising to a fly and the warm smell of the forest duff dissolves the week’s cares with ease. This trip was an overnight, sleeping under the stars and cooking over an alcohol stove. In the haste to leave, we got the sleeping bags, ground cloth and stove and managed to gather all the food, cups and bowls. We even packed a can (yes a can) of a really good rosé from Sacramento’s own Revolution Winery. Assembling dinner of spicy Indian dahl over instant rice, I realized I had forgotten the spoons. 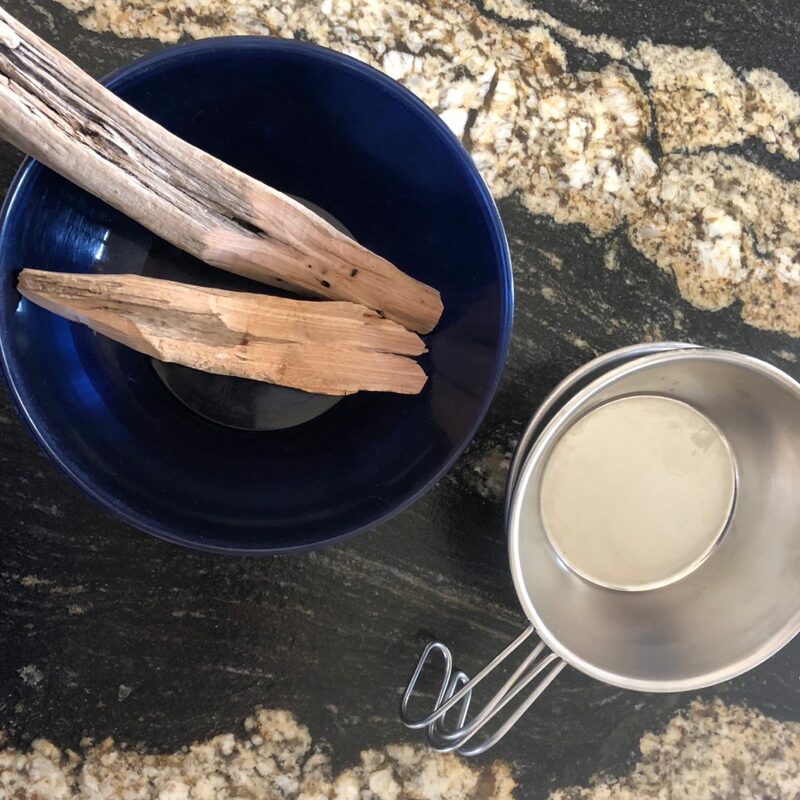 In the second moment of Zen, I looked down at the drift wood stranded high above the creek from the winter storms and saw two relatively flat sticks. A couple of swipes of the pocket knife and we had spoons for meal. This time of year, our Sierra streams offer total refreshment from the heat, smoke and the clutter of a busy mind.